Every now and then I like to spin some tales along with my yarn. So please, pull up a chair and maybe a glass of iced tea and join me as I handspin yarn and tell a few stories. 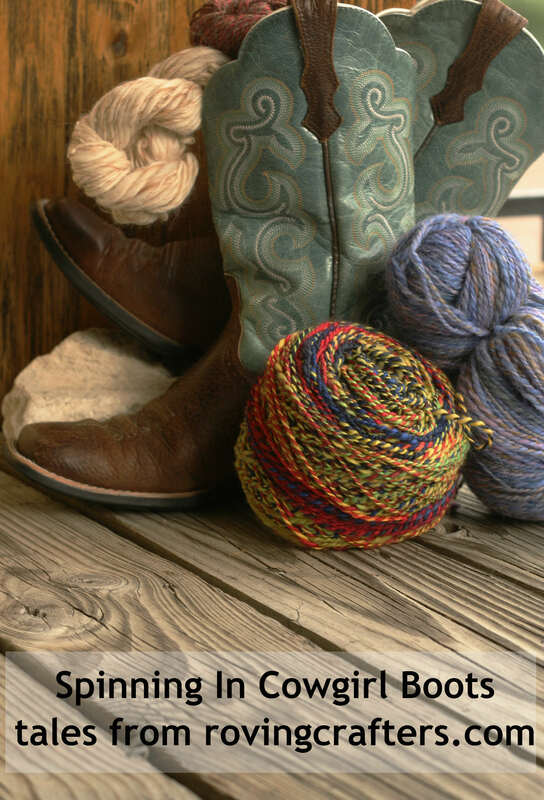 5 Comments on "Spinning in Cowgirl Boots"
I was looking up old crochet terms and saw “Spinning in Cowgirl Boots”, which intrigued me. LOVED your stories! I live in cowboy country (here we call them paniola) but here we spin barefoot. I live on the island of Hawaii. And I did find the term I was looking for. Thanks. Looking too late at what I wrote – my fingers don’t always go where I plan. Our word for cowboy is paniolo. Love your blog, too. I had been looking at some old Irish crochet patterns and thought I knew what the stitches were, but figured I’d check. Thanks. I just discovered it wasn’t my fingers, but right in front of my eyes, my iPad changed it! I at least caught it and changed it back. Sounds like you were the victim of auto-correct. The Auto-correct villain is everywhere. I do love those old Irish Crochet patterns. I’ve been eyeing the netting that they used as a base/filler. It sets off those Irish motifs so beautifully. Pat, I also live on the Big Island and would love to talk to another spinner. Come by Island Yarn and Art shop near Home Depot in Kailua Kona on Fridays. We have a small group of spinners who are always happy to meet a fellow textile person.